Nippy and very versatile, the new Honda Jazz has all you’ll need for your number one car or as a second runabout. Multiple rear seat folding enables the roomy small hatch to be very versatile in its everyday uses. You can be carrying loads of boxes one minute, then rearranging the seating for an extra passenger in the rear the next minute, and away you go again. Honda calls this seating versatility “Magic Seats”. In actual fact, the Jazz is amazing; Honda’s Magic Seats flip and fold into eighteen different combinations or four modes: Refresh mode, Long mode, Utility mode and Tall mode. These loading capabilities make travelling with friends easy because there is no compromising the Jazz’s style or comfort. Definitely the best in its class for room and practicality, the new Honda Jazz will make a welcome addition to your family. All the new Honda Jazz models feel very comfortable to travel in. If you can run to the top of the range Honda Jazz VTi-L, the look and experience is superb. Soft touch materials and beautifully crafted leather seats make the Jazz a lovely car to drive – one that appears much pricier than it actually is. There is value for money to be found here. The front seats are also heated in the VTi-L models. Expect most of the Honda Jazz models to boast a range of useful technologies such as the advanced touch-screen, which displays all your infotainment needs; hands-free connectivity and cruise control. You can access music, call friends and, when stationary, even watch videos. Who finds parking or reversing a little tricky? With the new Honda Jazz, when you select reverse, the multi-angle reversing camera activates on the multi display screen in the centre of the dash. I was impressed with the presentation of the Honda Jazz equipment and overall elegant and modern cabin. Blue back-lighting on the dash looks sharp, while the instrumentation and displays are very clear and easy to read. Ride and comfort are first rate. A nice soft ride over road undulations is backed up by some nice taut handling around town and in the country. The Jazz is a reasonably tall small hatch; however the grippy chassis does very well to provide easy controlled handling for the spirited driver. Under the bonnet is an 88 kW engine that feels zippy and is definitely very economical, with a 5.8 litres/100 km the promised combined fuel efficiency from Honda. Knowing Honda cars, the real world figure will be very close to this. Having just 135 g/km of CO2 emitted into the atmosphere, the new Honda Jazz leaves a low adverse effect on the environment. Probably the top Honda Jazz competitors will be the Volkswagen Polo, BMW 2 Series Active Tourer, Mazda2 and Toyota’s Yaris to name a few. The market segment in the roomy small car class holds a lengthy list of names; however you can rest assured that the latest Honda Jazz easily sits at or near the top of the class depending on individual tastes. If you add up the sprightly and efficient engines, room and versatility, the safe little Honda Jazz is a top buy. New Honda cars are very reliable to own and the new Honda Jazz is no exception. For a vehicle that takes commuting to work, transporting kids to school or taking you out for a night on the town in its stride, the smart looking 2014 Honda Jazz is there for the taking. 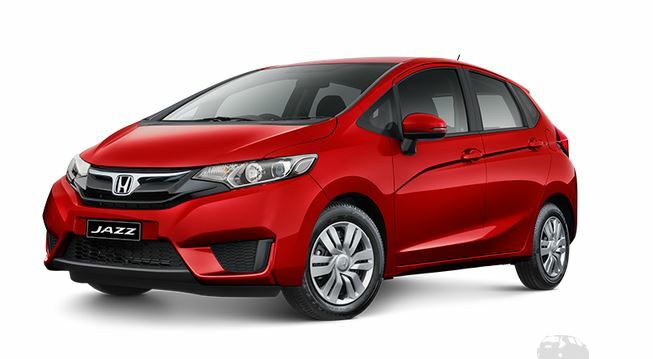 For any more information on the 2014 Honda Jazz, or for that matter any other new car, contact one of our friendly consultants on 1300 303 181. If you’d like some fleet discount pricing (yes even for private buyers! ), we can submit vehicle quotes requests out to our national network of Honda dealers and come back with pricing within 24 hours. Private Fleet – car buying made easy!